Join us Tuesday, February 5th in Prospect Hall at lunch for Strawberry Kale Smoothies! 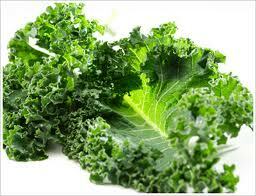 Kale has recently been added to the list of “superfoods” that people should consume. This is due in big part to the fact that it contains a good amount of Vitamins A & C which act as antioxidants in the body (antioxidants help reduce free radical damage which can lead to cancer and other health issues). According to http://www.webmd.com/food-recipes/features/the-truth-about-kale: 1 cup of kale contains 36 calories, 5 grams of fiber, and 15% of the daily requirement of calcium and vitamin B6 (pyridoxine), 40% of magnesium, 180% of vitamin A, 200% of vitamin C, and 1,020% of vitamin K. It is also a good source of minerals copper, potassium, iron, manganese, and phosphorus. 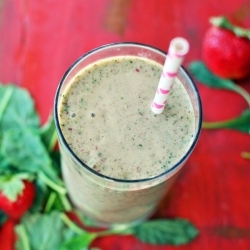 So, stop by and try one of our delicious Strawberry Kale Smoothies or make one at home for yourself! Blend until it reaches your desired consistency. Pour into glass, drink and enjoy! Tell us how you like it! Posted in Uncategorized | Comments Off on Smoothies! Game On! Diet is a relatively new weight loss program. Here on campus, a few people are up to the challenge of the book. It’s about a personal trainer that thought up of a game to challenge his friend to lose weight. 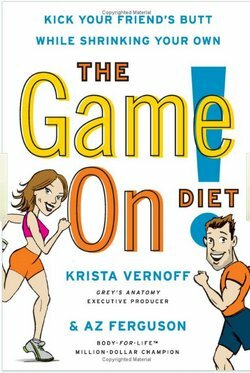 According to the book, Krista, the woman that wanted help from her friend and trainer Az, wants to lose weight, and wants Az to come up with a program to help her. He does, and low and behold, she has a hard time following it… He then hit the books again, and came up with Game On. Az knew Krista was competitive, so he made a game plan that they had to stick to for a month. Everything you do or don’t do, will either win some points, or lose points. This is a team based game, but can be played with individuals as well. Az knew that people are competitive by nature, so why not play that card? According to the book, individuals are allowed to eat certain things from all the categories, carbohydrates, fats, vegetables, fruits and protein (dairy is considered a protein). There should be five meals a day, and really no snacking (there will be a 10 point loss for each snack…). According to Joy Dobust, PhD, RD, there are pros and cons to the game, as with any diet. Individuals need to take the time and energy to thoroughly look what they’re getting into, as with anything. Individuals should be well informed and speaking to their primary care physicial before embarking on any real big changes in their diet and exercise plan. This book is a great read if one wants to change their eating habits, wanting to lose weight. This game is really for anyone. Definitely a good read. So go ahead, get the book and Game On!